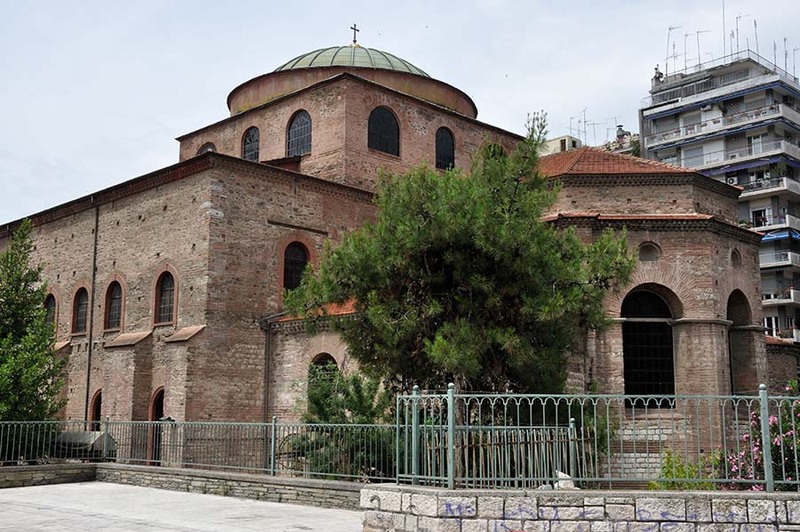 The present cathedral of Thessaloniki is dedicated to Agios Gregorios the Palamas and it is situated at the centre of the town, at the intersection of Metropolitan and Agias Sophias streets. In the same place, existed a church in honor of Agios Dimitrios, which was the metropolis of Thessaloniki during the Ottoman occupation. This monument, however, was destroyed completely in 1890 by a major fire that hit the part of the town that is now surrounded by Ladadika, the sea and the streets of Ermou and Pavlos Melas. The church of Agios Gregorios the Palamas was founded in 1891 and completed in 1914, with designs by the well-known architect Ernst Ziller,that were subsequently amended by the architect Paionidis Xenophon, who was responsible for project implementation. It is worth noting that beside the church there was constructed between 1890 and 1893 a neoclassical building designed as well by Chiller, which hosted the Consulate General of Greece and which today houses the Museum of Makedonikou Agona. 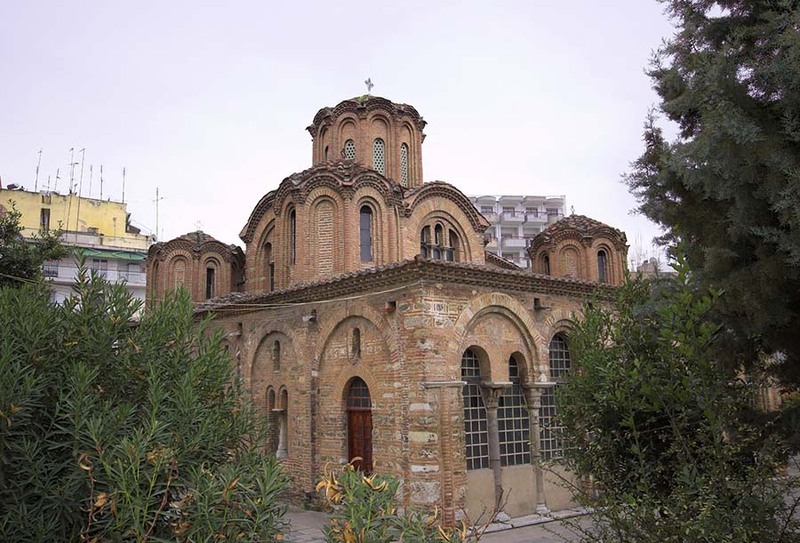 The church of Agios Gregorios the Palamas is based architecturally in the Byzantine octagonal type; it has neoclassical and neoromanic morphological data, following the trend of eclecticism that characterized the architecture of Thessaloniki in the 19th century. The nave has a shape of inscribed equilateral cross and is covered by a large dome, while four tall and slender bell towers occupying the corners of the building. 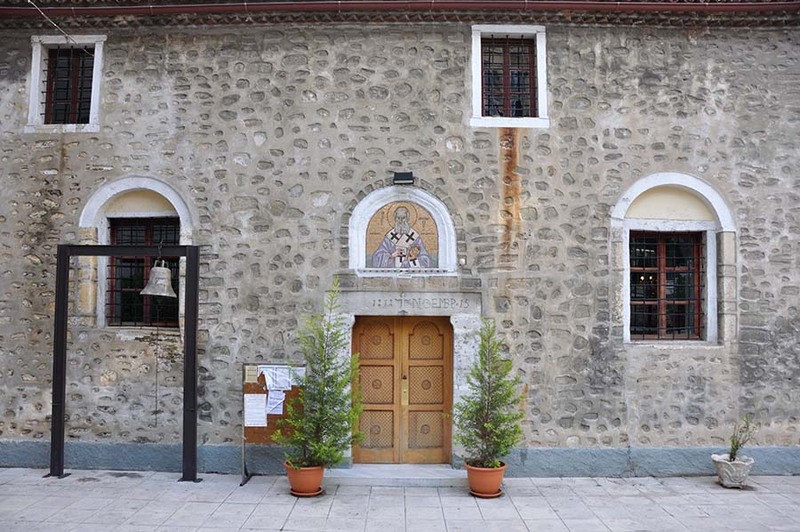 Inside the building,which was originally painted by Constantinople artist Nicholas Kessanlis,there are preserved the relics of Agios Gregorios the Palamas.